Wayside is a fun and safe place for students to hang out during lunch and after school. We offer a snack bar, pool tables, foosball, table games and a study hall for homework. Unlike area restaurants, students are never required to purchase food from the snack bar to hang out at Wayside, if the doors are open they are welcome to come in, meet with friends, work on their homework or wait for a ride. During the EPISD school year. 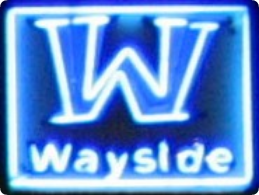 Wayside also offers shows and special events through out the year. Younglife club currently meets on Monday nights at Wayside, 7-8:30pm. 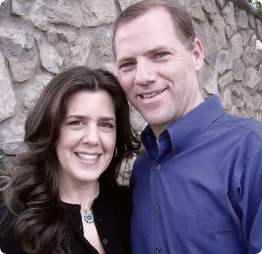 In 1998, when Robert and Catrina Cormell, along with their partner, began serving lunch to area students at their family style restaurant called “What’s for Dinner?” they had no idea these same students would return after school looking for a place to hang out. Come to find out, many of the students didn’t want to go home or weren’t able to. There was an unmistakable need for a safe place for teens after school. Located across the street from Hanks High School, “What’s for Dinner?” was just a few years old when the Cormell's made the decision to completely convert the restaurant into a teen organization. Everything from menu items to the dining room décor was transformed into a place where teens would feel comfortable and welcome. 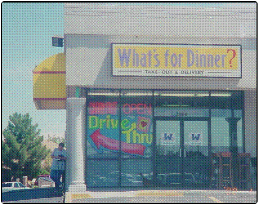 In May of 2001 a non profit status was acquired for the newly formed organization and a decision had to be made to stay in the strip mall or find a new location. Many of the nearby businesses were not as open to the idea of teens “loitering” on the property as the staff of Wayside were. In July of the same year Robert and Catrina decided to purchase the current property on Montwood and Wayside was ready to relocate. In just four short months the building was cleared and rebuilt to house the current teen center. Many volunteers and contributors gave of their time and resources to raise the much needed safe spot for teens. In November of 2001 Wayside Teen Center was open to the public. Today, over one hundred and fifty students a day walk into Wayside where they enjoy positive music, a quick bite to eat, a game of pool, tutoring or just hanging out in a place where they know they’re safe and welcome. Wayside Teen Center is a 501c3 organization founded in 1998.